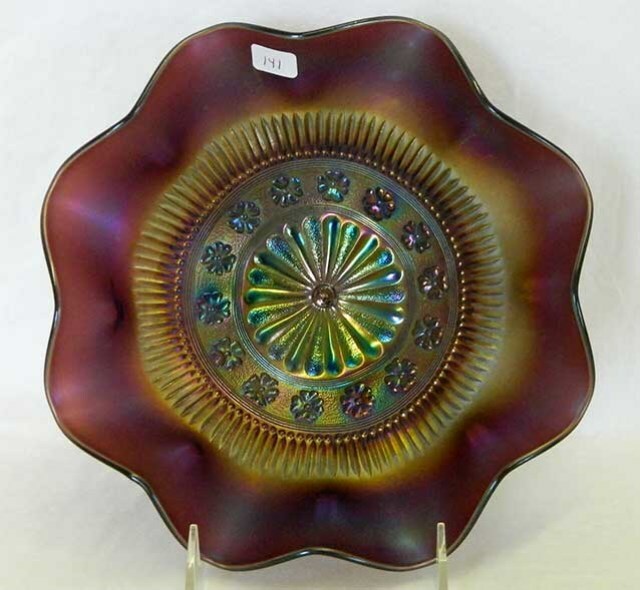 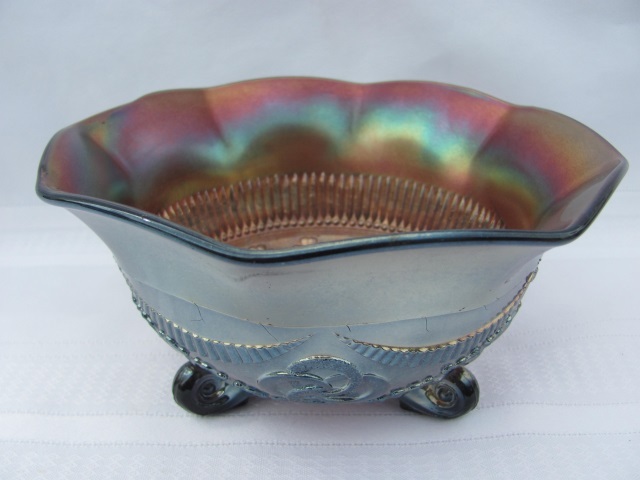 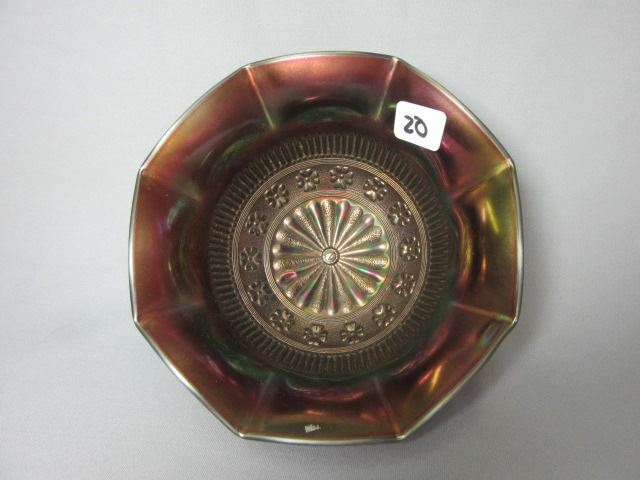 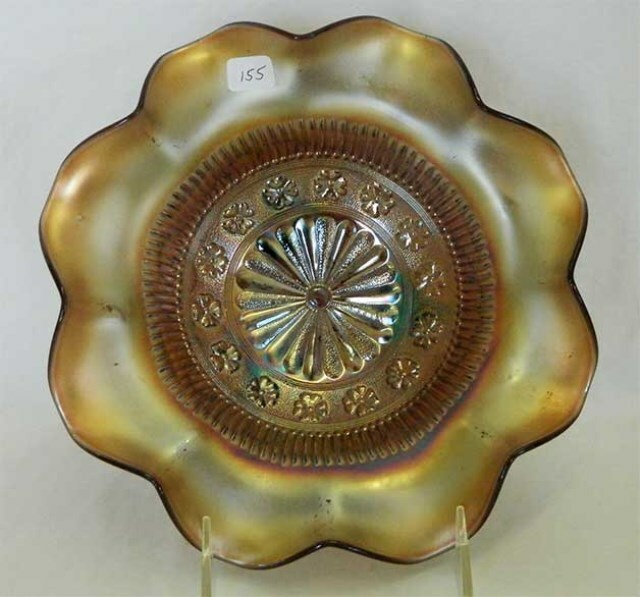 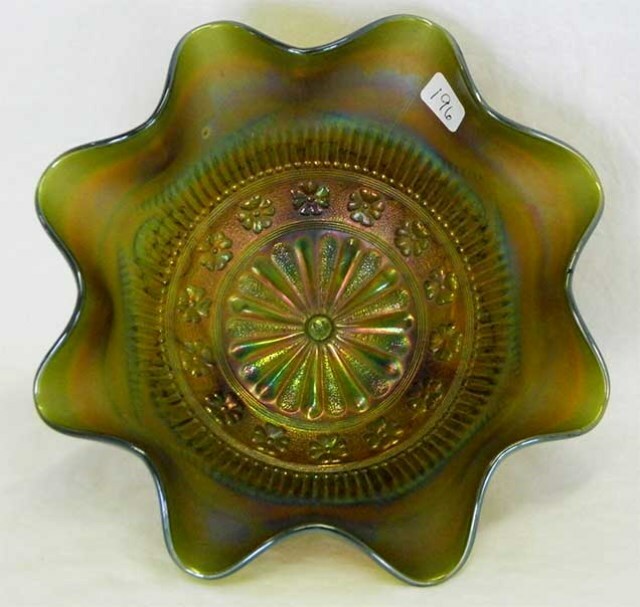 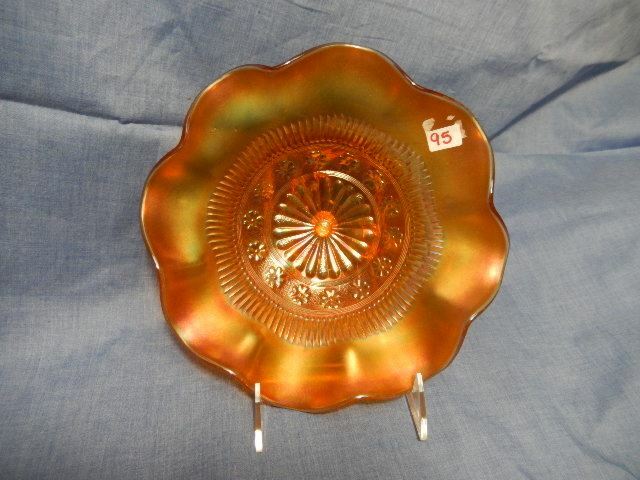 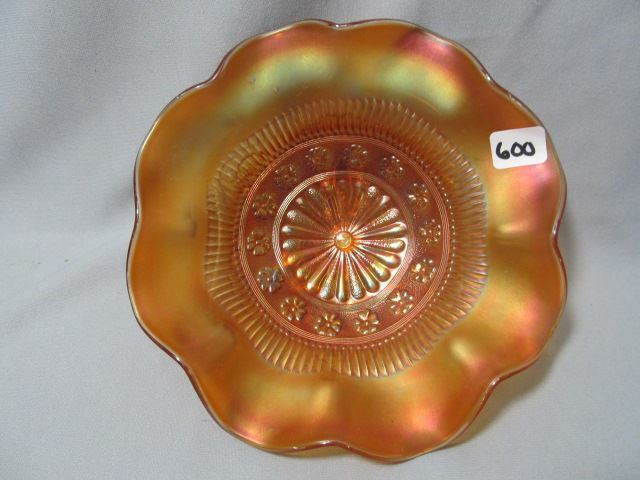 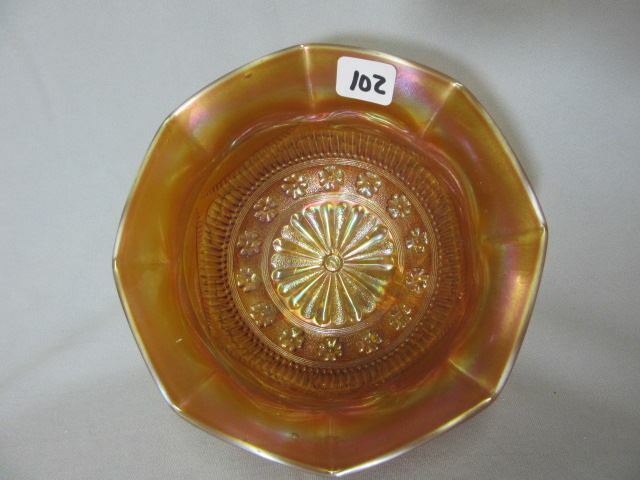 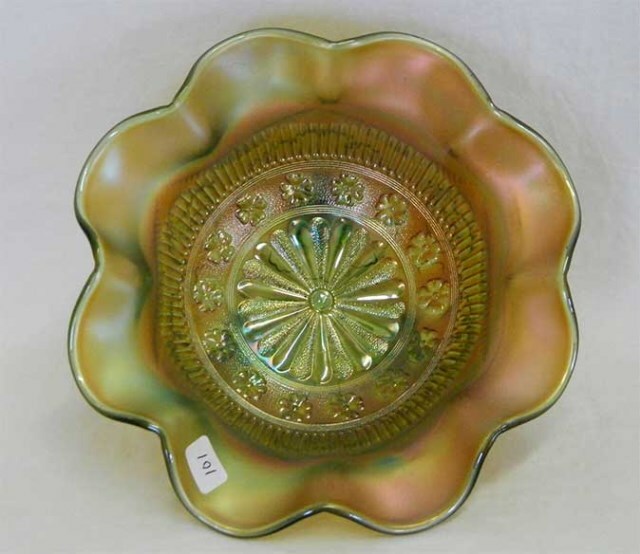 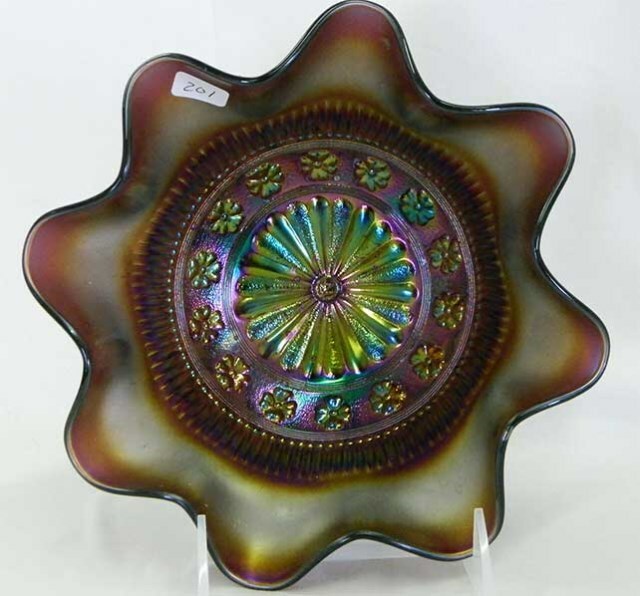 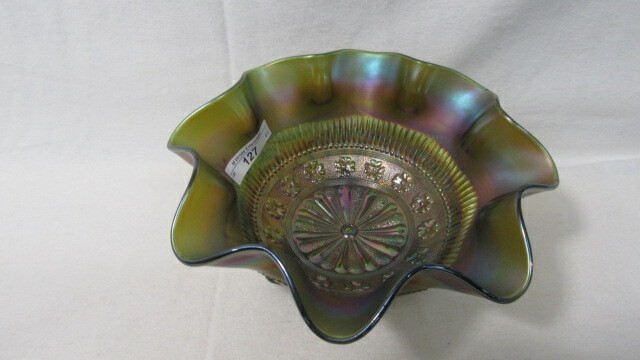 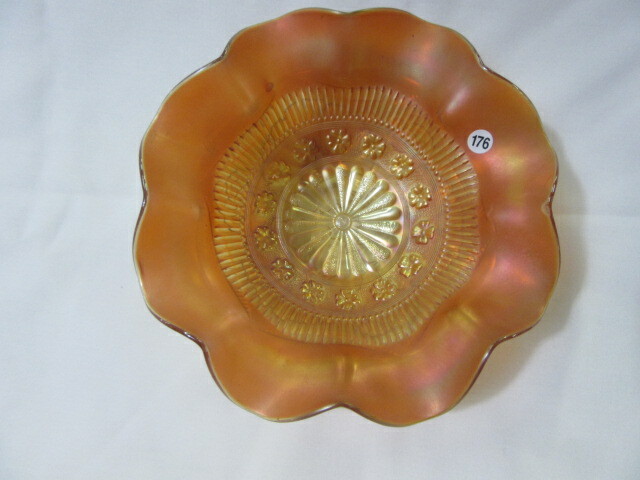 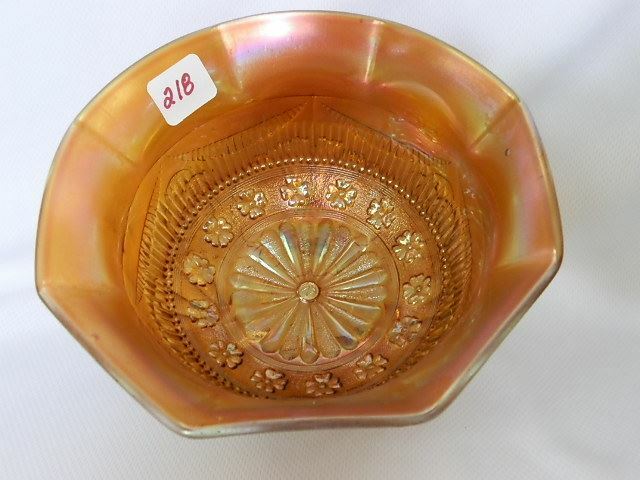 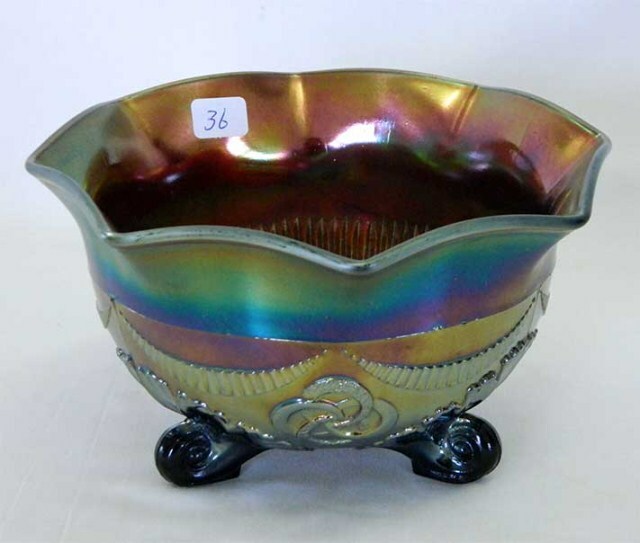 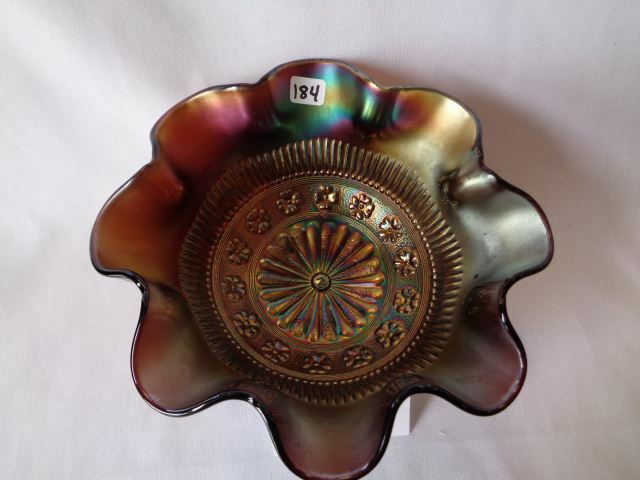 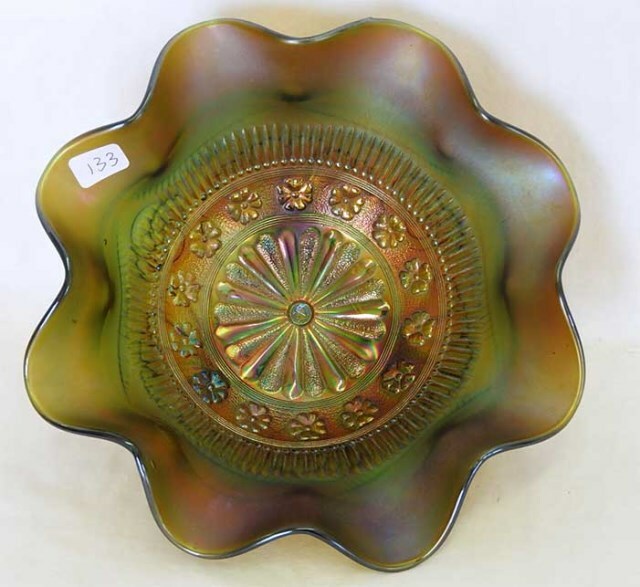 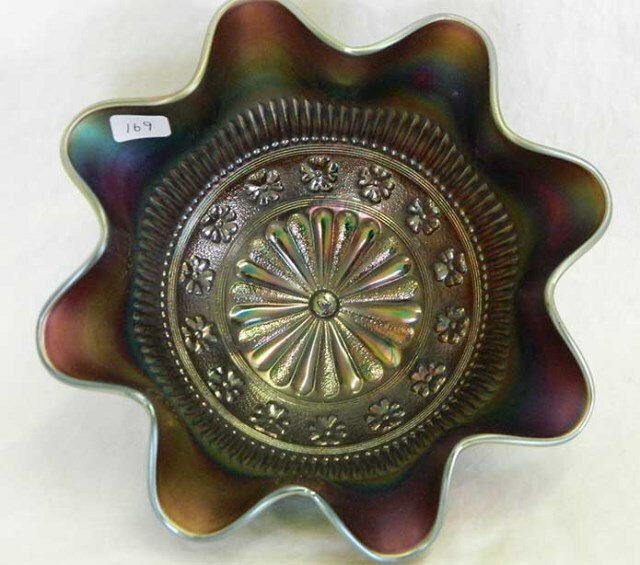 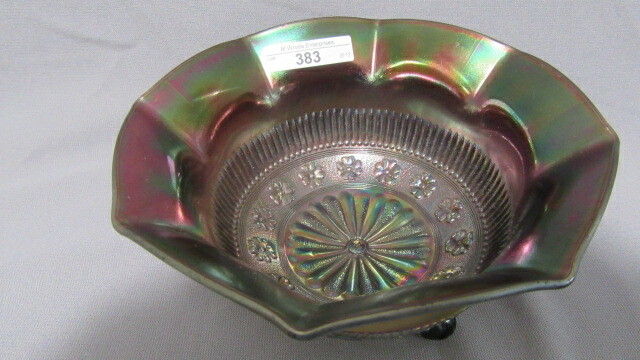 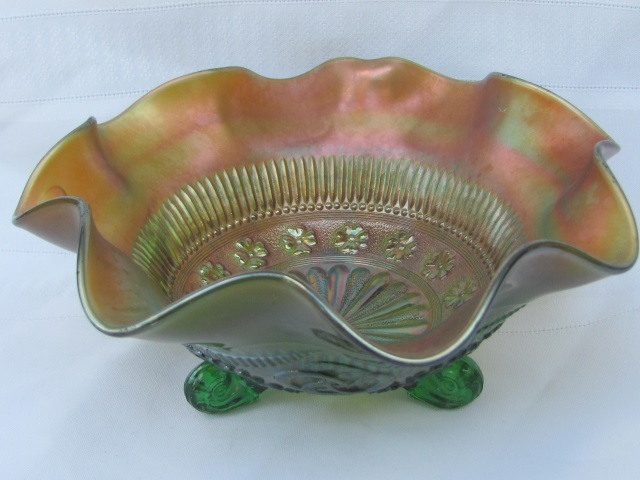 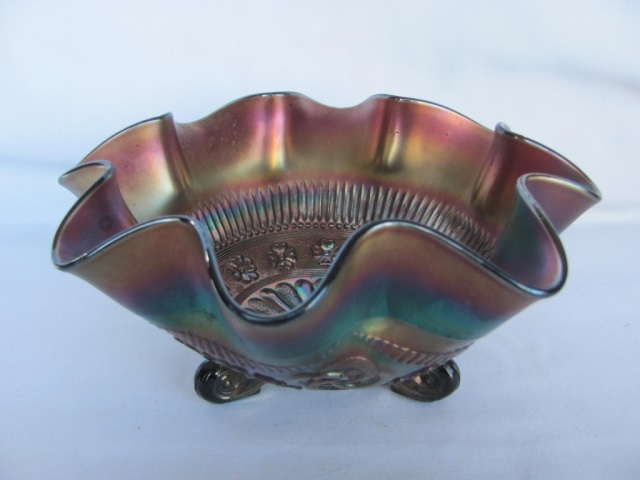 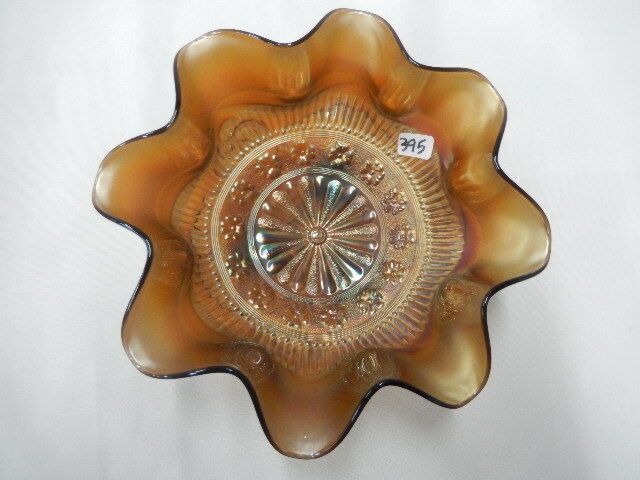 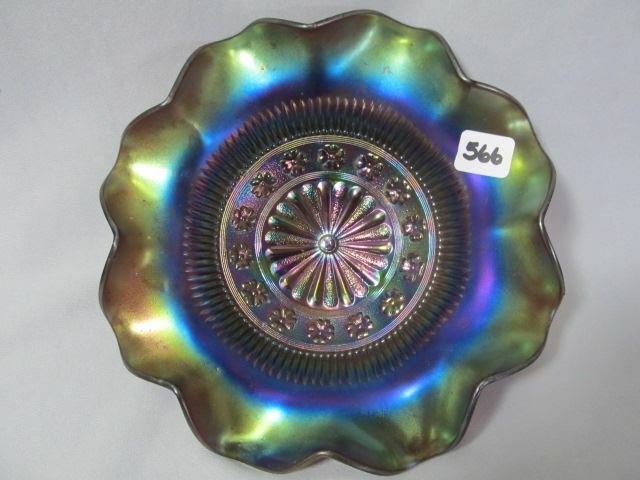 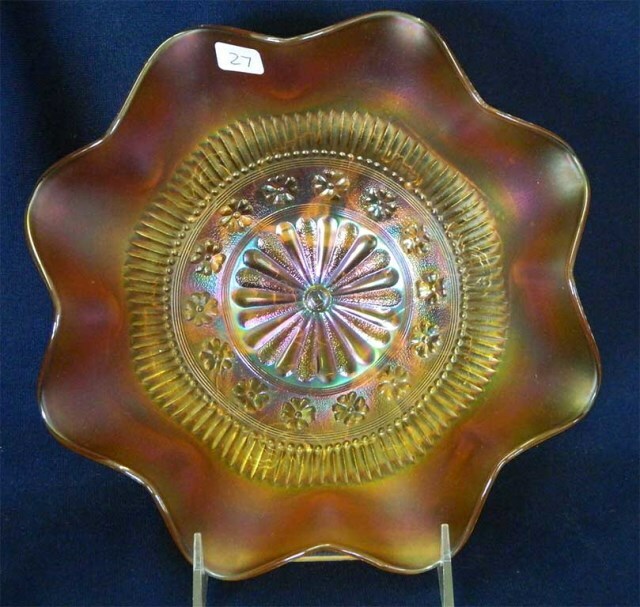 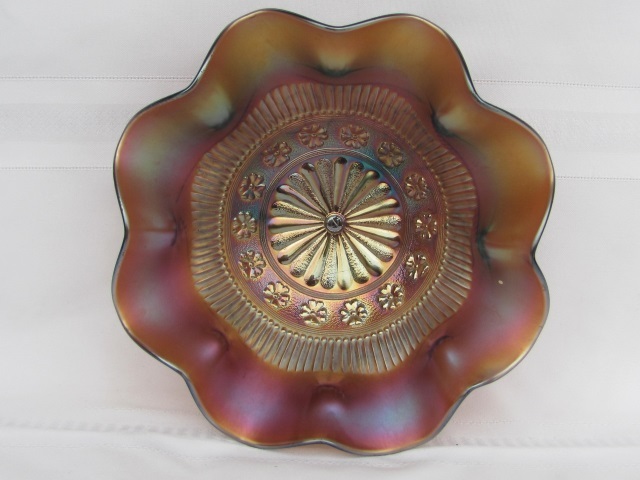 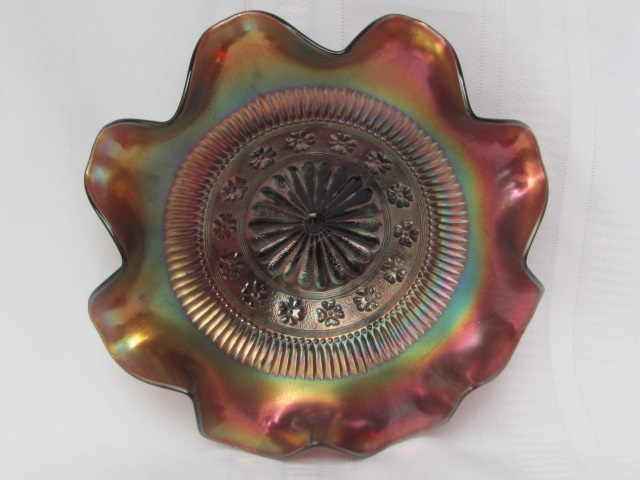 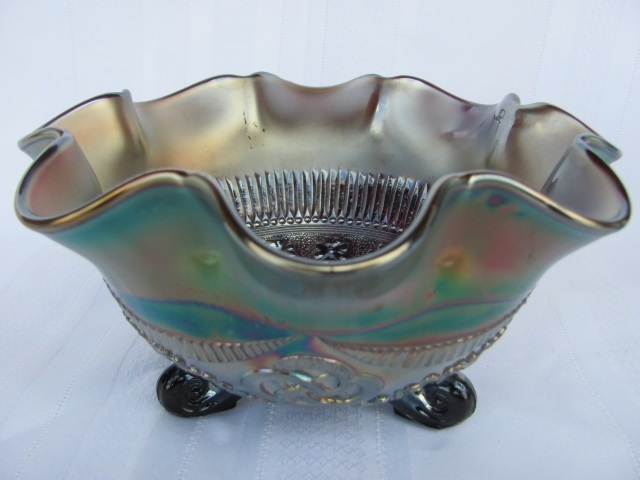 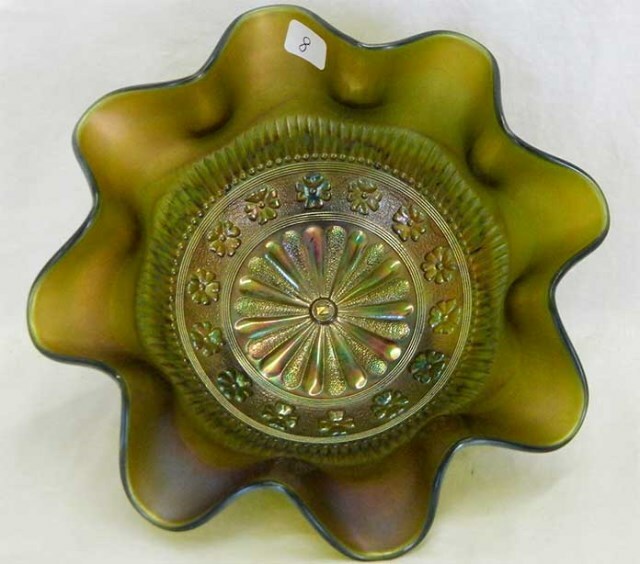 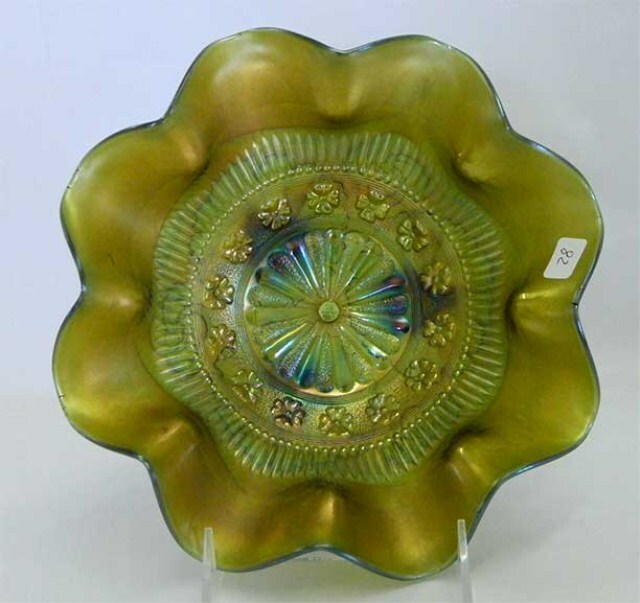 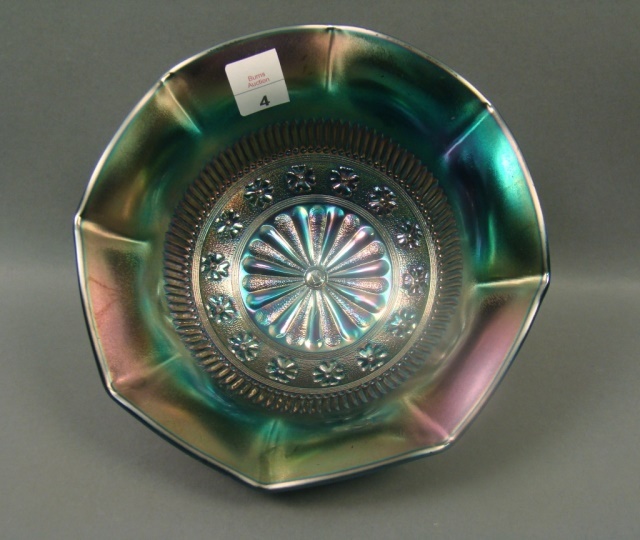 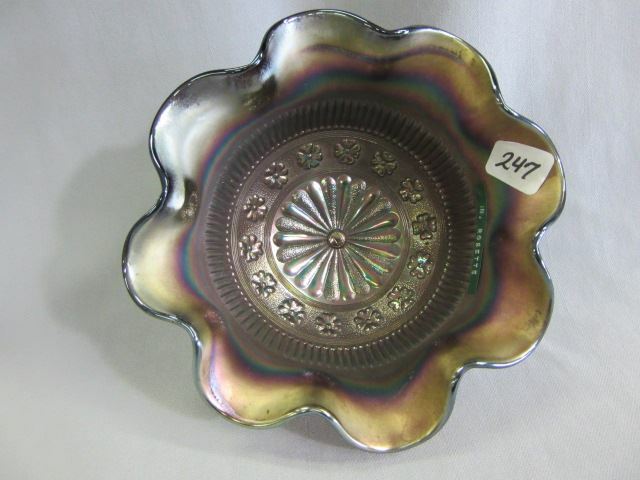 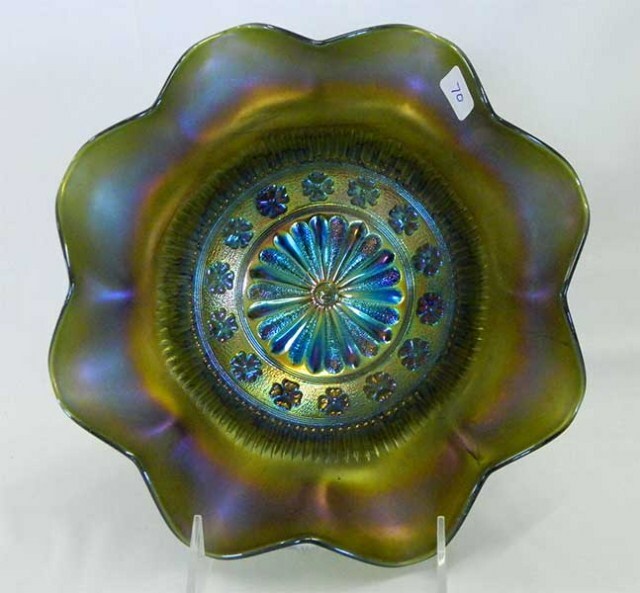 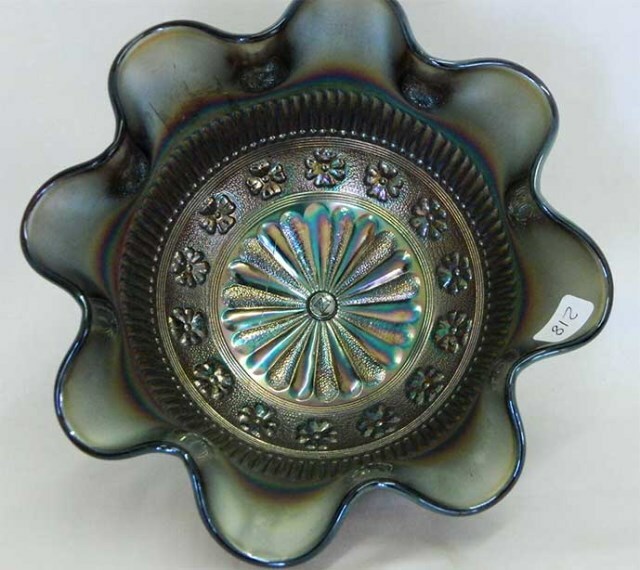 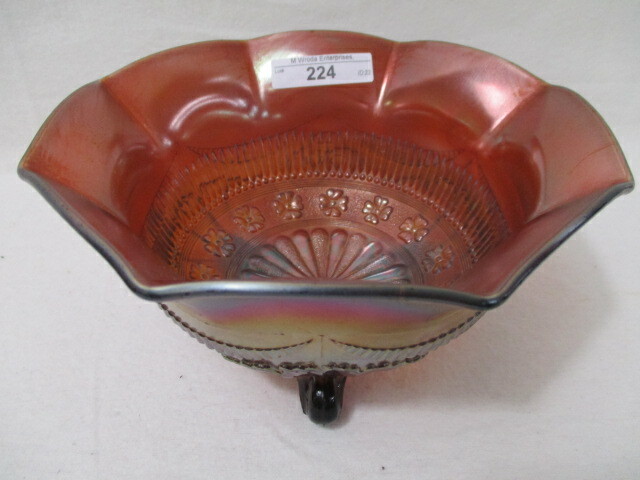 This is the Rosette nut bowl shape in purple. 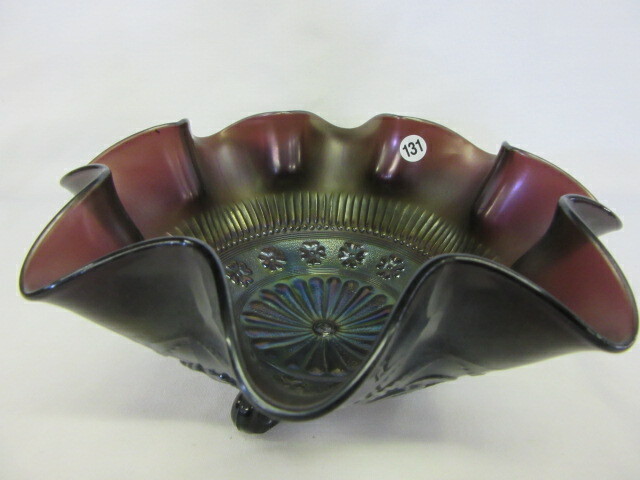 The photo shows the Ruffles and Rings exterior. 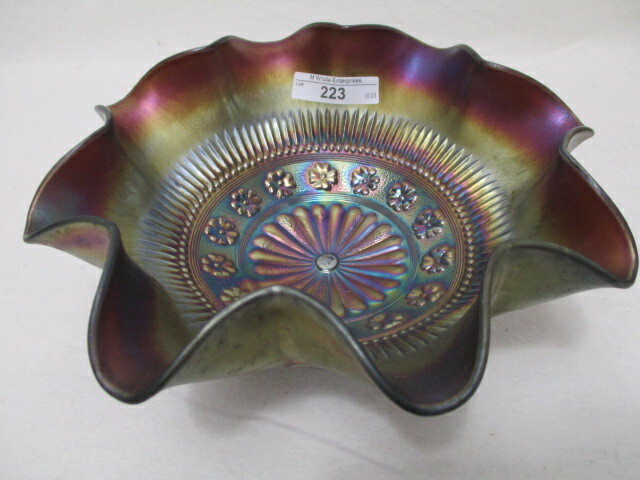 Photo courtesy of Drew Love. 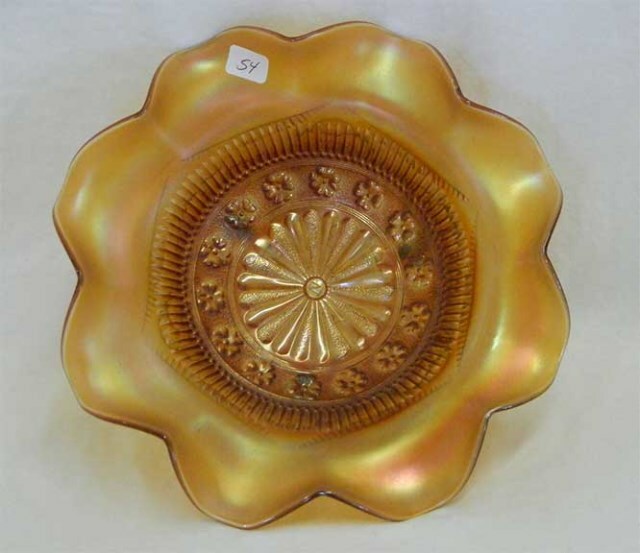 Rosette has a band of small rosettes that circle a larger medallion of rays. 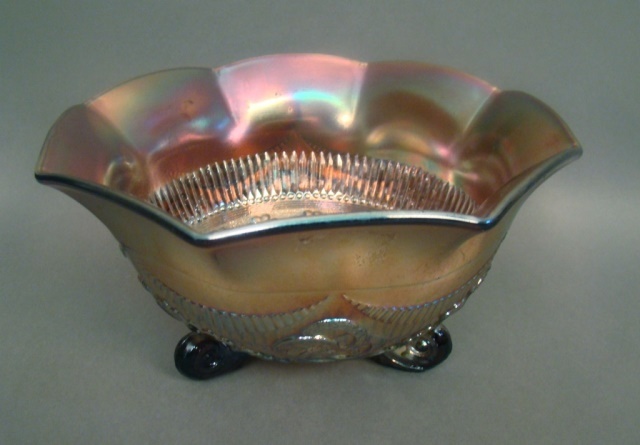 Known only in ruffled bowls, some deep enough to be considered nut bowls. 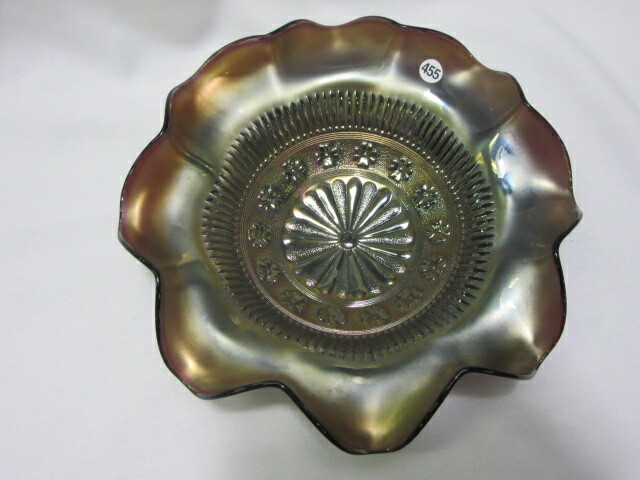 The exterior pattern is Ruffles and Rings.